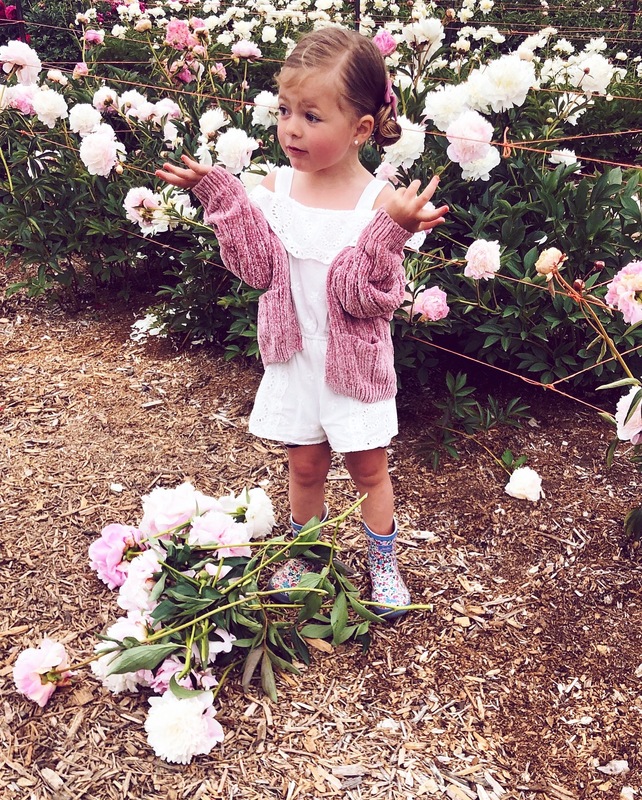 Isla’s Romper: Nordstrom | Isla Sweater: Zara (similar style here and here) | Isla’s Boots: Nordstrom | Isla’s Bows: Wunderkin Co. Happy Monday, everyone! I hope you all had a great weekend! 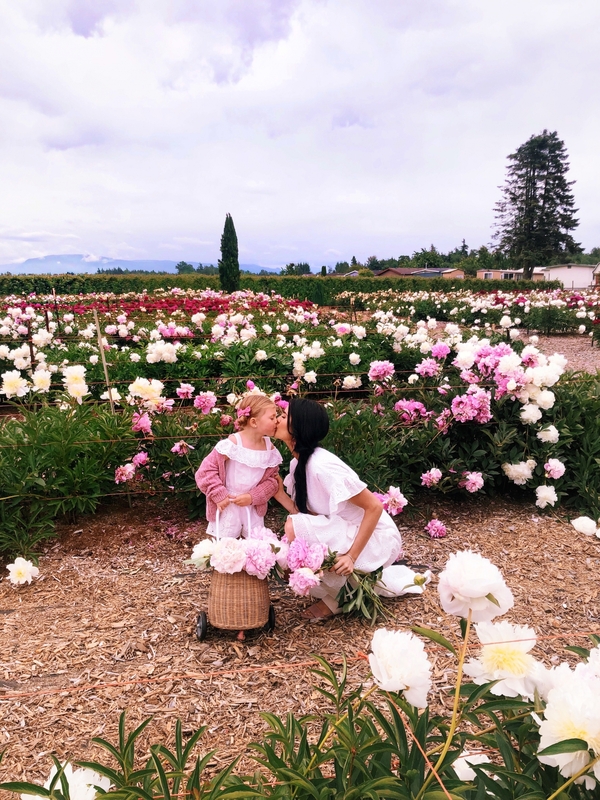 As you all know I’ve been a pink peony enthusiast for years (hence the name of this blog ;) so being able to experience a peony farm while in Washington a couple weeks ago was a dream come true! 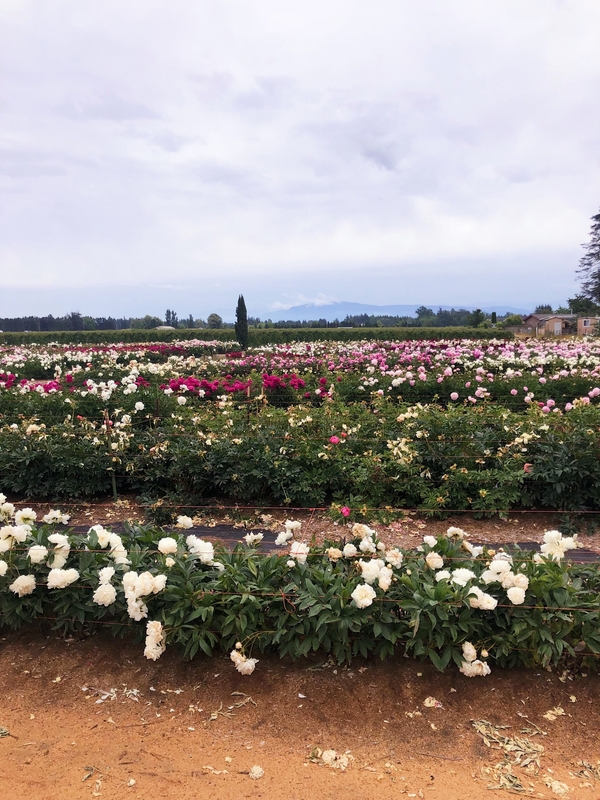 I’ve been getting a ton of questions about which farm we visited, how we liked it, what our experience was like and if we would recommend it, so today I’m taking you through our trip to the peony farm! And if you have any questions don’t hesitate to ask them in the comments below. 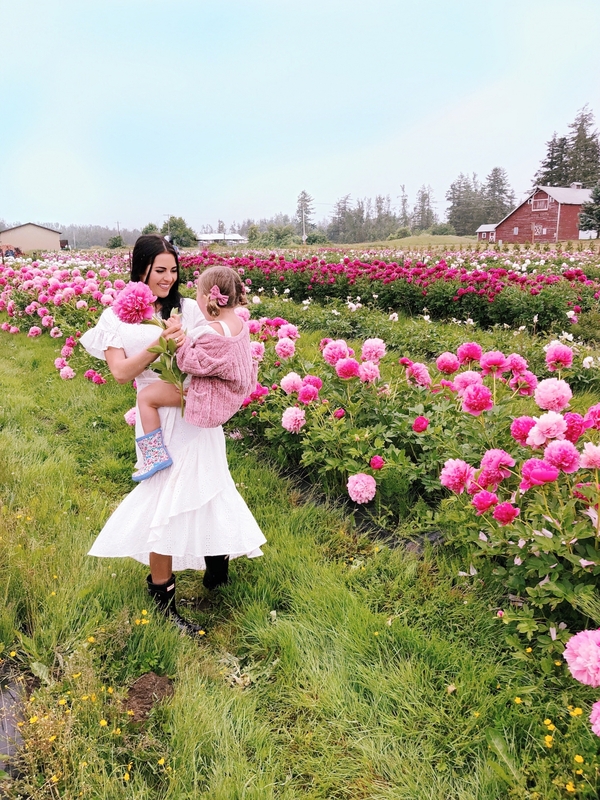 Two years ago when I was pregnant with Jackson we went to the Skagit Tulip Festival and it was such an incredible experience (see more photos here) and ever since then we had been dying to go back! 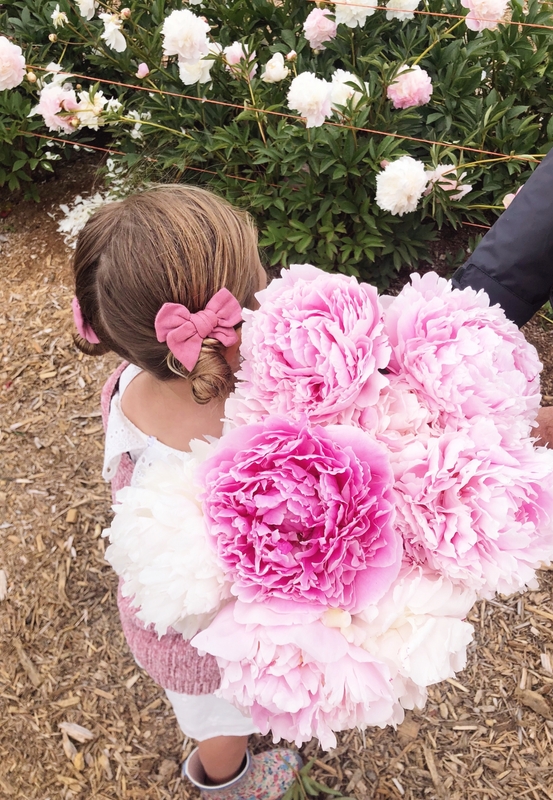 So we planned another trip to Washington but this time to see peonies (yay!!!!). Although it was a little different it was nice that we had been before so we knew what we were getting ourselves into. On Sunday morning we loaded the babies in our rental car and headed out of Seattle and into Bellingham/Skagit County. But before we made our usual McDonald’s breakfast pitstop! Drew and I listened to music while Isla Rose and Jackson slept. We love long drives so it was really enjoyable and relaxing!! When we arrived I thought I was in heaven! 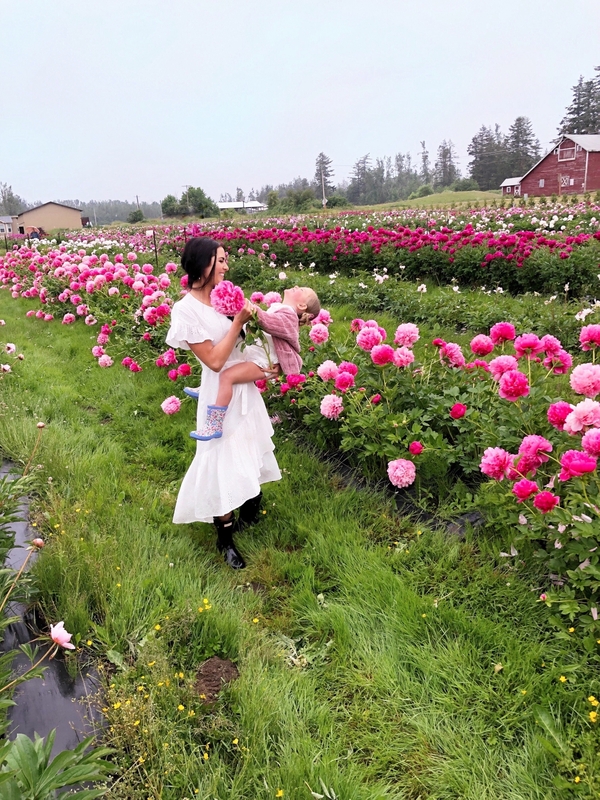 We took a ride around the farm and looked at raspberry bushes, cows, fields of strawberries and ENDLESS peonies! The best part was cutting our own fresh peonies. 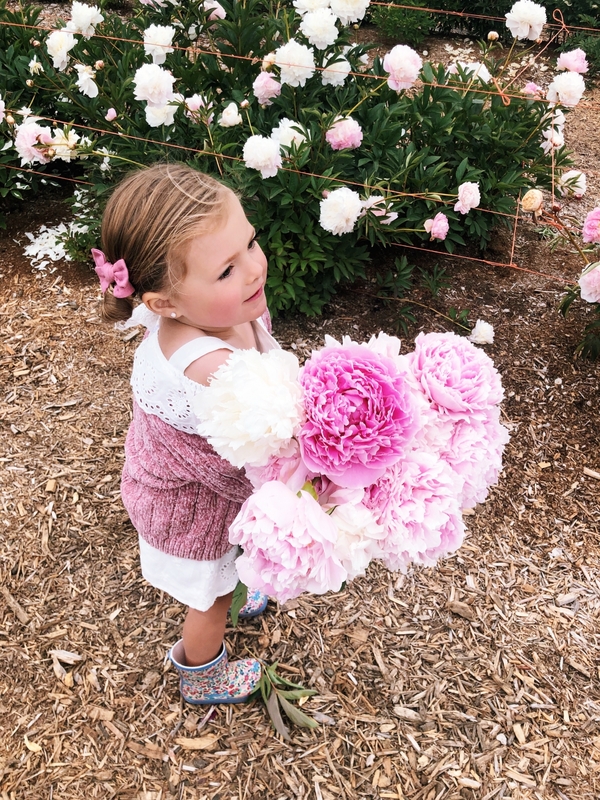 Isla Rose and I walked around cutting our favorite peonies that we picked out ourselves while Jackson was busy digging in the dirt (boys will be boys! haha he was perfectly content in the dirt!). Before we headed back to Seattle we found the most incredible strawberry farm and we all shared FOUR boxes on our drive back. We also stopped at the lululemon outlet on the way back which was amazing!! It was such a fun Sunday spent with my little family. I’m glad we have these photos to look back on and remember how much fun we had discovering new places and making memories! Drew and I are actually headed somewhere tropical today… any guesses where to?! 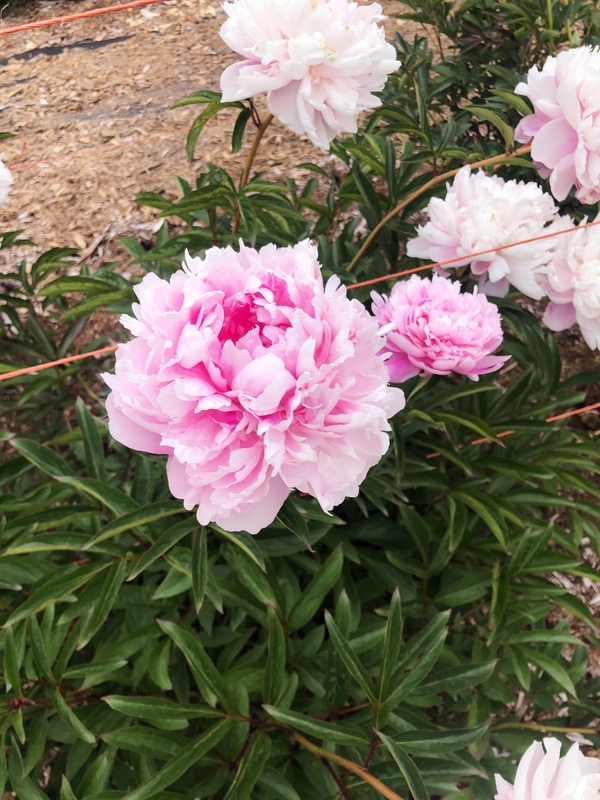 The peonies are gorgeous! It looks like the perfect day. I love your daughters rain boots too, how darling! We don’t have any peony farms around us, but now i can’t wait to go pick up some cut peonies from the market. 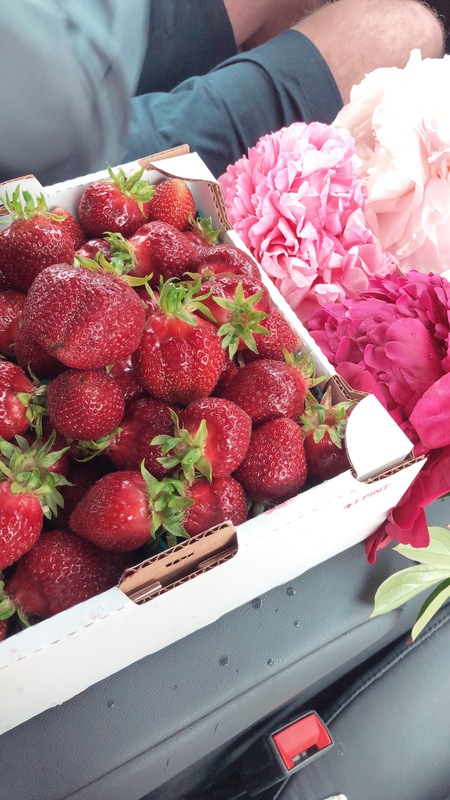 Such a lovely post … there is nothing more beautiful thsn a filed of flowers and yummy strawberries! ???? Those strawberries were so yummy and the peonies were breathtaking!! 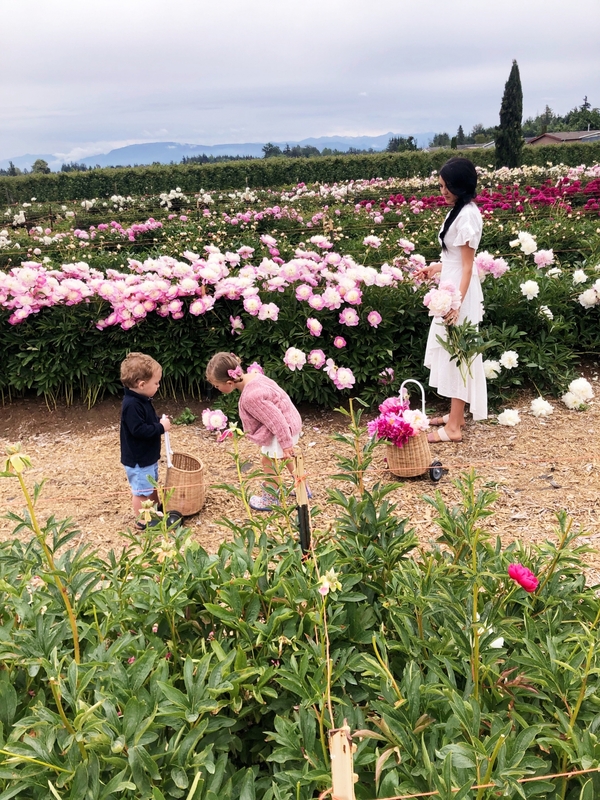 OMG this peony farm is a dream!!! I definitely want to go and visit! It was such a magical place!!! I will never forget it!!! This is purely a dreamland! Beautiful family! Thank you so much!!! It was my dream come true!!! beautiful flowers and those strawberries look good!! 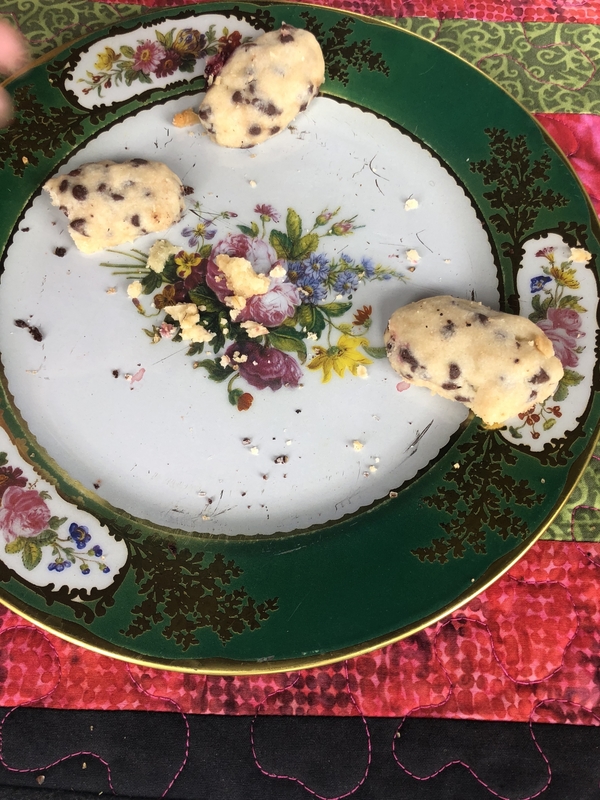 The strawberries were delicious!!!! We had to take some jam home with us!! 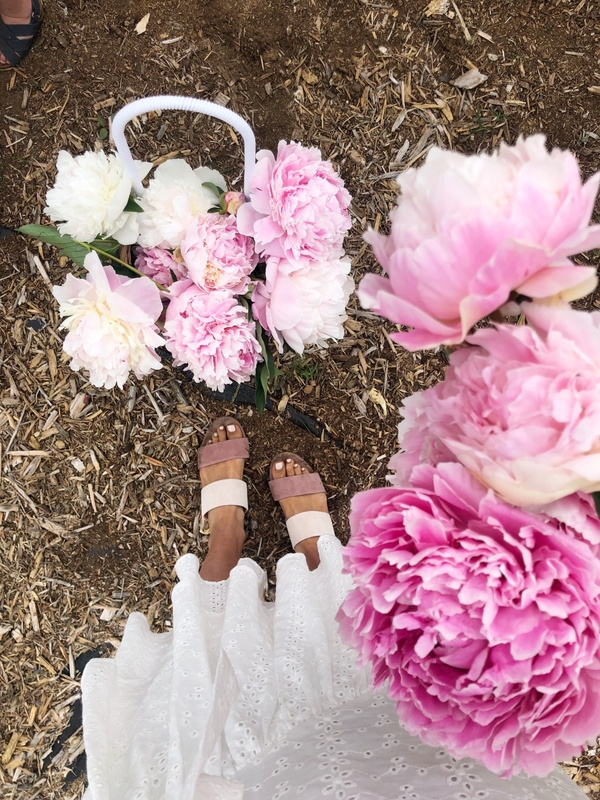 How gorgeous are those peonies?! I’m dying! That sounds like a great trip. The peonies are so beautiful. It was such a fun trip!!! Wow, this place is beautiful! And I love your dress so much! 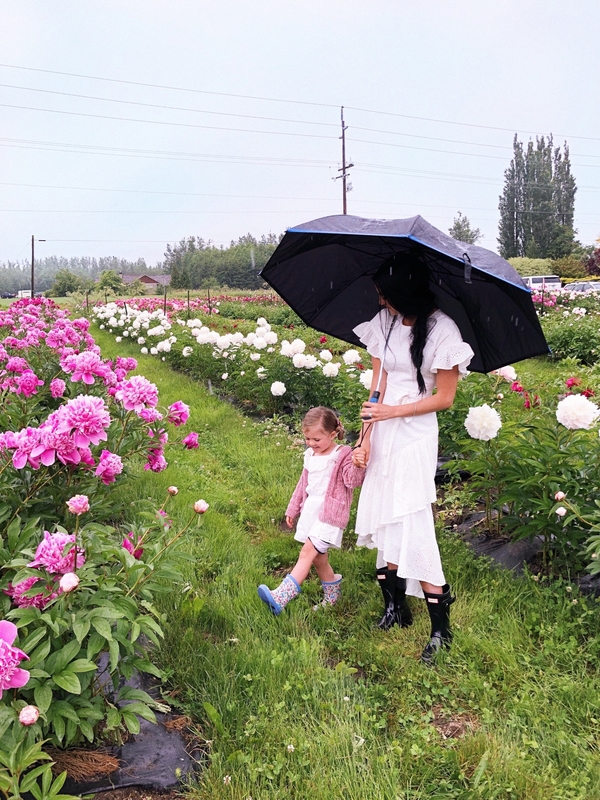 I need to go to a peony farm! They’re my favorite Flower!?? Yes!! You need to go!!! It was seriously so magical!!! I highly recommend taking the little ones!!! My babies LOVED it!! Beautiful farm..full of pink flowers. It was so pretty!!! I already want to go back!!! 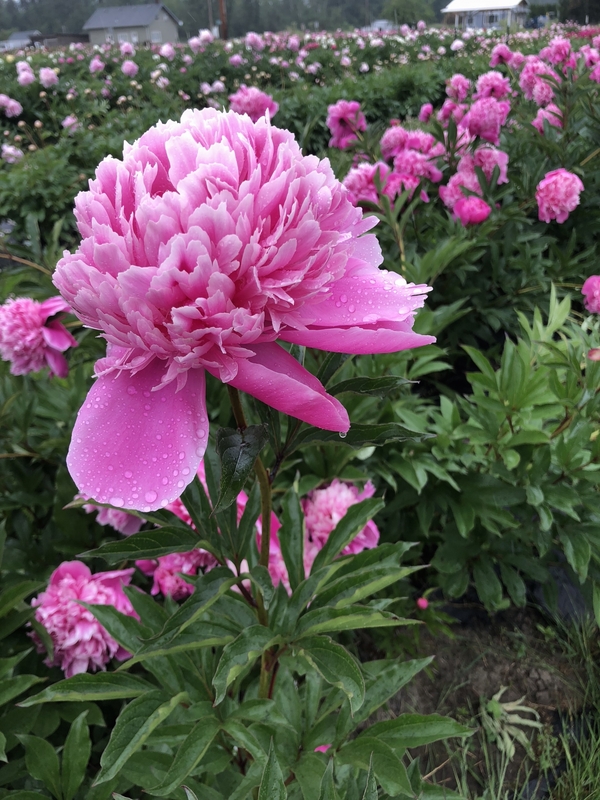 what better than pink peonies for the pink peonies blog?! They are my favorite flowers!! This was seriously a dream!! How funny–this is where I live! 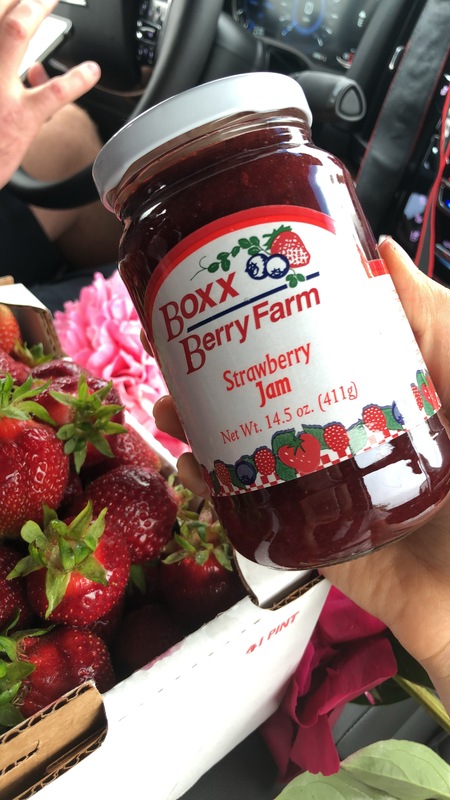 We love boxx berry farm and go there all the time for fresh berries and flowers. i am happy to see people from other parts of the country are coming to visit our little neck of the woods! 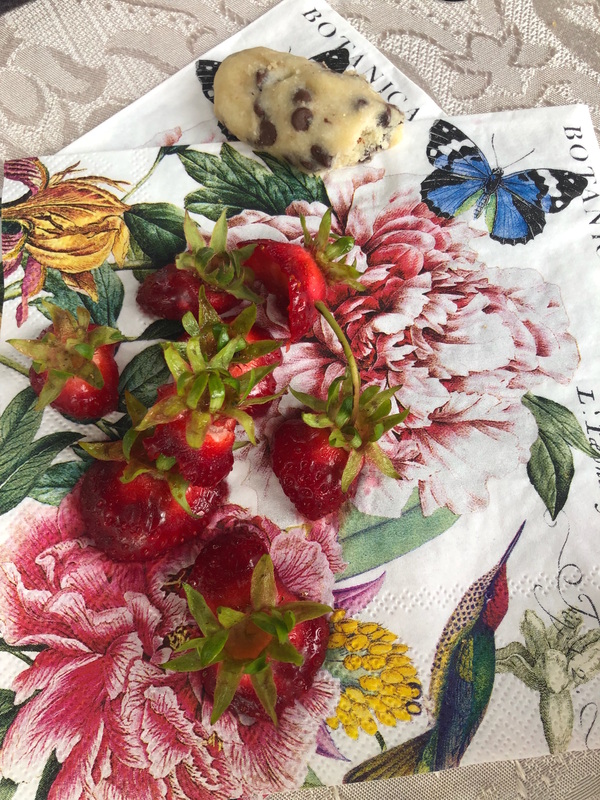 Those strawberries were AMAZING!! You are so lucky to live so close!! 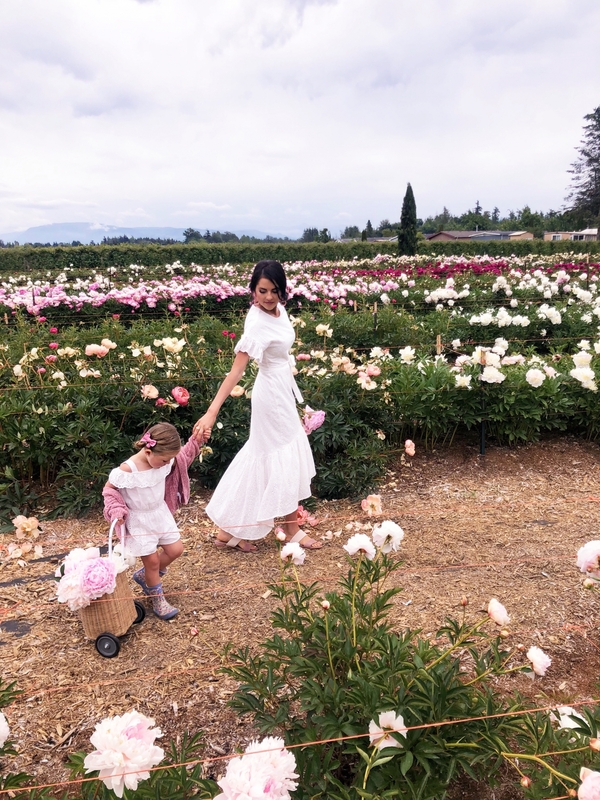 The peony farm was called Pure Peonies in Everson, WA! 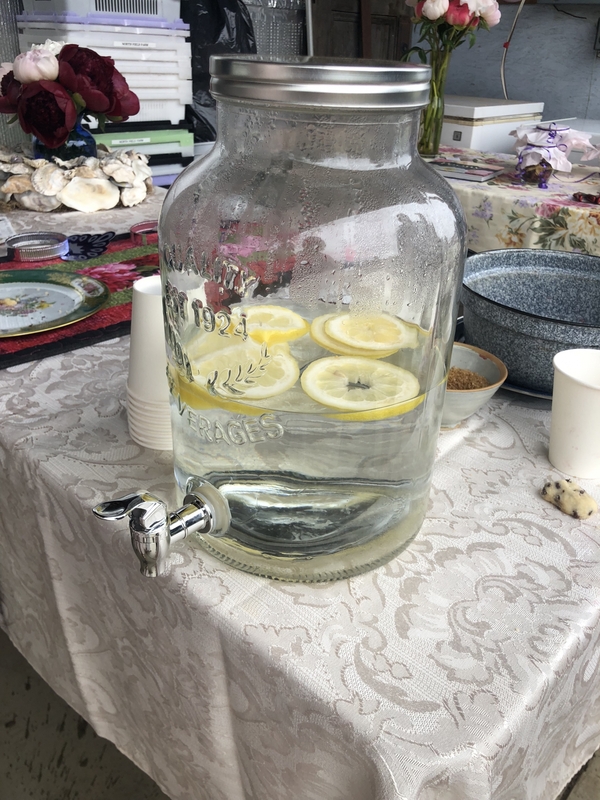 Thanks for stopping by!! It really was a dream come true!!!! SO pretty!!! In love with the FArm and the flowers. You are looking pretty in the pictures. I would love to visit a peony farm. they are so lovely flowers.